If you have a specific skin concern, I believe Celeteque Dermoscience has the answer for all. During it's launch last year at SM Makati, I was in awe while checking out the huge range of Celeteque Dermoscience skin care line. Until now, I'm still using everything from their Acne Solutions Line, the Dark Spot Corrector and Backne Spray. Their moisture spray and wrinkle instant smoothing cream are also staples in my makeup kit during wedding gigs. 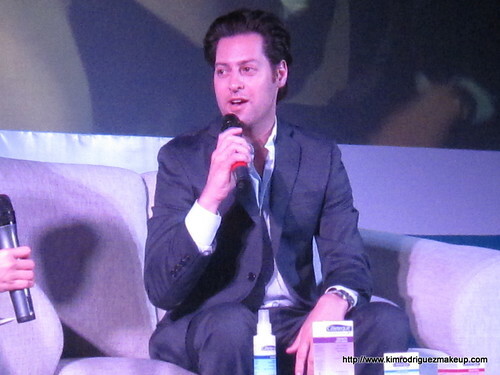 And I few weeks ago, I was invited again when they introduced their latest Dermo skin care ambassador, Dr. Eric Schweiger, a top New York-based dermatologist, last June 6, 2012 at Crown Plaza Hotel. The beautiful Angel Jacob hosted the event. Dr. Eric Schweiger is one of the top dermatologists in New York. He owns the esteemed Schweiger Dermatology center. Being successful in his field, for sure he was approached by many skin care companies. 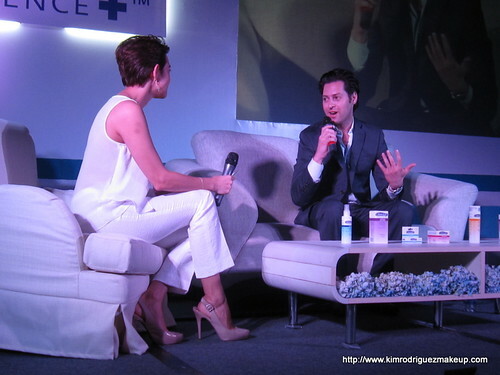 But when asked why he chose to partner with Celeteque Dermoscience, he said that he tested the products himself and was impressed. Celeteque Dermoscience's advantage is that it takes a scientific approach , using of derma-grade ingredients, testing to confirm product efficacy and consulting with leading dermatologists who understand Filipino skin". 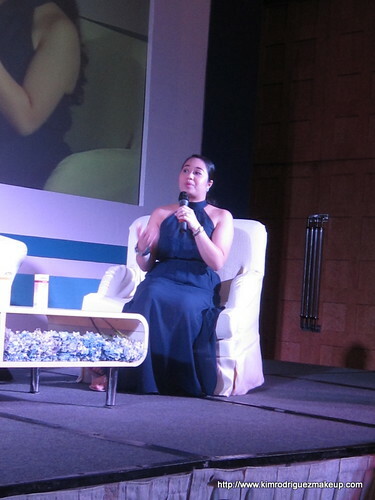 Together with Ms. Tina Sarmiento of Celeteque Dermoscience, Dr. Schweiger gladly answered our skin queries. My skin's moisture level was tested and surprisingly, I have a normal moisture level :) Just when I thought my skin is becoming try esp in the hand area. We had a photo op with Dr. Schweiger afterwards. Photo above was from Earth of Earlingorgeous.com. For skin care, I trust Celeteque so much (no kidding!). It's what I really use and also for my clients especially those with sensitive skin. They're mild and shouldn't cause skin irritations. It's also a huge plus that one of the most trusted dermatologists in New York like Dr. Schweiger recommends it. 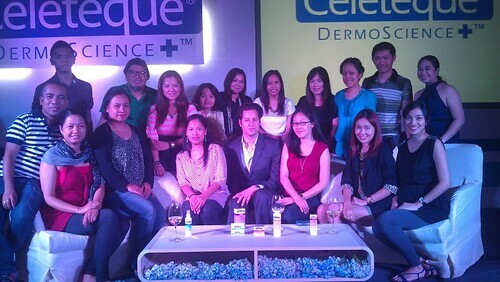 Have you tried any of the Celeteque Dermoscience product? Hi guys! 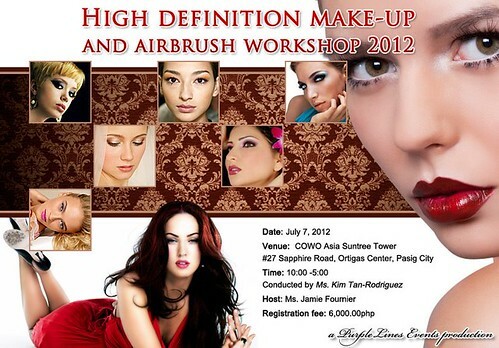 For those of you who asked me if I'm teaching makeup, I partnered with Purple Lines Events Management Company for a one day high-definition makeup workshop to be held on July 7, 2012. For those of you who are interested, please check the photo for details on how to reserve a slot. 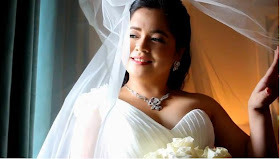 Kim Tan-Rodriguez is a freelance hair and makeup artist specializing in wedding makeup. She's been in the business for almost 5 years now. She was first trained with Beauty and High Fashion Makeup at the Basement Academy by Cheryl Cabanos. After a year, she took up Advanced Airbrush Makeup and Hairstyling at HD Makeup Academy taught by Jeave Gabiana and Christephanie Chua in Ortigas. Visit www.kimrodriguezmakeup.com for more of her works.